Chef Colin Dowden still has a long culinary career ahead of him, but he can already boast a lifetime of experience. Dowden began cooking at age 14, working for caterers in his Brooklyn neighborhood. After high school, he honed his culinary talents in corporate cafeterias, and then moved on to executive dining rooms, where he was mentored by master chefs. (“That’s where I learned the classic French cooking techniques I use to make savory stocks and sauces at Wholesome Goodness,” he says.) 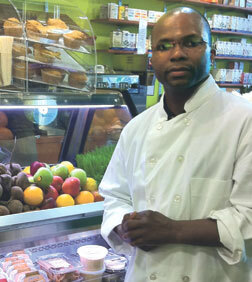 In his late 20s, Dowden attended culinary school, acquiring a broad knowledge of world cuisines. As chef at Wholesome Goodness, he now blends broad knowledge and long experience with a lifetime commitment to health and nutrition. “It’s easy to eat delicious and satisfying food that’s also good for you,” he says. Having benefited from professional mentors, Dowden hopes to give back in kind—teaching children entrepreneurial skills, using food as the vehicle. Once the store settles into a reliable routine, he says, he will be doing cooking demos in the store, and he’s planning a series of cooking classes for kids. Dowden’s giving extends to the readers of Natural Awakenings, with whom he shares one of his most popular warm-weather recipes. Cook beets (skin on) until a knife can slide into them with ease. Let cool in refrigerator, use paper towels to rub off the skin, and then cut the beets into wedges. 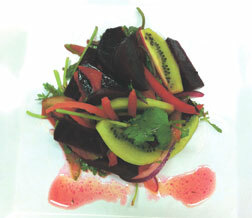 In a mixing bowl, combine beets, celery, onion, bell pepper, lemon zest and ¼ teaspoon thyme. In another bowl, combine agave nectar, vinegar, ¾ teaspoon thyme, lemon juice and garlic. Whip or blend flavors, slowly adding oil until the dressing thickens, and then add it to the beet mixture. Peel kiwi and cut each one into 8 pieces. Add half the kiwi into the beet mixture and mix with a rubber spatula. Serve garnished with the rest of the kiwi and fresh celery leaves. Wholesome Goodness Market is located at 66 Main St., Yonkers. Contact the market at 914.375.7133; visit the market online at WholesomeGoodnessInc.com. The American Cancer Society’s signature event, Relay for Life, will be held in towns throughout Westchester and Putnam Counties during the month of June. Since the first Relay in 1986 in Tacoma, Washington, the event has gained a national following. It is known as a fun-filled overnight experience designed to bring together those who have been touched by cancer, as participants celebrate cancer survivors and remember those lost to the disease. Relay teams help raise money and awareness to support the American Cancer Society in its mission to eliminate cancer as a major health issue. They gather at schools, fairgrounds or parks and take turns walking or running laps. The events are held overnight to represent the fact that cancer never sleeps, explains Brigett Lummel, publicity chair for Relay For Life of Mahopac. The survivors’ laps and the luminaria ceremony honor the people who have faced cancer firsthand, as well as those who lost their battle with cancer. “This year we anticipate more than 4,000 people on more than 200 teams from Mahopac, Carmel, Brewster and surrounding towns, relaying to raise over $300,000,” Lummel says. “Money raised by Relay For Life of Mahopac will be used locally in the Hudson Valley by helping people stay well and get well, by finding cures, and by fighting back.” Volunteers and donors support research, education, advocacy and services that allow the American Cancer Society to offer help and hope, she says. 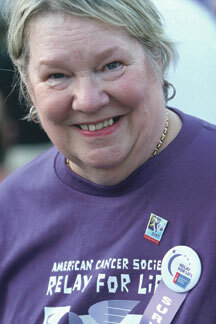 For more information, or to join the Relay For Life effort in your community, visit RelayForLife.org. The advanced pilates class at the Art of Control Pilates Studio in Purchase. Fitness enthusiasts of all experience levels—from personal trainers seeking continuing education to beginners who want to try a new technique without pressure—are invited to the Pilates Conference and Awaken Wellness Fair, to be held at Purchase College June 2-5. The event will feature workshops, workouts, performances, and an expo of local businesses devoted to opening the mind while strengthening the body. Visitors can attend one or all days of the event, which begins with a pre-conference on June 2. Some of the best-known Pilates teachers and fitness experts in the country will be teaching at the conference, including Mari Winsor sharing her new Pilates techniques, and Jay Grimes, who worked with Joseph Pilates himself. The event concludes with the Awaken Wellness Fair from noon to 5 p.m. June 5. A body-mind-spirit expo that has been popular in Westchester for the past decade, the Awaken Wellness Fair offers interactive wellness activities, health screenings, products and services that promote a healthy lifestyle, and wellness providers demonstrating the latest in both technology and “rediscovered” ancient healing. The Pilates Conference and Awaken Wellness Fair is a collaboration between Simona Cipriani, owner and director of Art of Control, and Paula Caracappa, promoter of Awaken Wellness Fairs. Art of Control, a private studio located at Purchase College, offers Pilates, massage therapy and Feldenkrais to both the community and Purchase students. For more info about the Pilates Conference, visit ArtOfControl.com or call 914.251.7842. Learn more about the Awaken Wellness Fair at AwakenFair.com. On Sunday, May 22, from 7 to 9:30 p.m., psychologist Dr. Debbie Lang will host the first annual meditation for those grieving the loss of a loved one. The event offers people an opportunity to honor their loved ones with a meditation, candle lighting, story, anecdote, or moment. The meditation takes place under the stars in Somers, and participants are asked to bring a blanket or chair. Dr. Lang offers ongoing workshops in meditation and guided visualization for women, men, children and couples. Her new CD, A Moment Among the Stars, offers original guided meditations to begin the journey to mind/body wellness. Lang says that mindful meditation and guided visualization are two techniques that allow one to heal from the inside out. These techniques can boost the immune system and endorphin levels, reduce stress, and turn dis-ease into ease, she says. To reserve a place at the meditation, order a CD, or learn more about ongoing workshops, call Dr. Debbie Lang at 914.248.6733. A stylist and colorist for more than 25 years in Toronto, Thaler has offered organic, all-natural colors, highlights, perms and straighteners since she began. These products deliver results, like 100-percent grey coverage, without damaging hair, she says. Because she believes in “proper nutrients and positive, loving energy” for the skin and body, as well, Thaler also offers healthy, natural skincare products and services, providing free consultations on hair, skin and body. 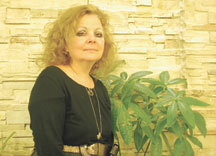 Her organic treatments can correct pH imbalances caused by unhealthy chemicals. Jonathan Thaler has been a licensed acupuncturist and massage therapist for 22 years. He incorporates shiatsu and craniofacial therapy, yoga, nutrition and lifestyle counseling, and acupuncture (including cosmetic acupuncture) to help clients de-stress and live healthier. He custom-tailors each session to his client’s individual needs. “Helen and I often share clients and help transform individuals inside and out,” he says. 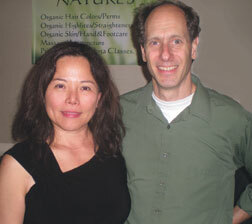 Nature’s Organic Hair, Skin Care, Massage & Acupuncture Studio is located at 1220 North Ridge Rd., Shrub Oak, NY. To make an appointment, call 914.528.8770. Mention this news brief and receive 15 percent off any product. Lake Mahopac Pharmacy & Surgical is celebrating its one-year anniversary as Mahopac’s hometown pharmacy. Husband and wife co-owners Nagi Wissa, RPh, and Paula Chamoun say they are amazed at the amount of support and gratitude they’ve received from local residents. Customers from other parts of Putnam and Westchester counties are also traveling to the pharmacy, not only for the extra attention that the owners provide, but also to learn about and try alternative remedies. Lake Mahopac Pharmacy offers specialized prescriptions, along with herbal and homeopathic remedies. 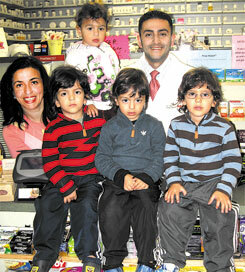 Wissa and Chamoun pride themselves on continuously updating and expanding their line of natural remedies. They report that many people are turning to natural beauty and health products and without understanding all of their options and the ways in which alternative remedies interact with various medicines. Lake Mahopac Pharmacy & Surgical provides both education and advice as it continues to expand its line of products. 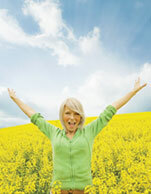 They also offer a popular medicine recycling program and free delivery, in addition to accepting all insurances. Lake Mahopac Pharmacy & Surgical is located at 559 Rt. 6, Mahopac, NY. 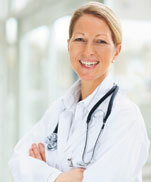 For more information call 845.208.0424 or visit LakeMahopacRx.com. 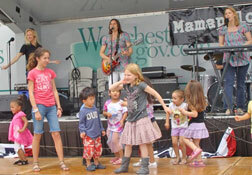 Mamapalooza, a free music, arts and health festival for women and families, will be held Saturday, May 14 from 11 a.m. to 5 p.m. at Kensico Dam Plaza in Valhalla. This is the seventh year for this event featuring live entertainment as well as information, products and activities promoting women’s health and fitness, family life and green living. The festival kicks off with Heather Buyers’ “Walk Live Westchester” exercise program. Westchester County’s Office for Women, Raging Grannies and other nonprofits will be on hand to provide information on health, wellness and social services for women and families, including victims of domestic violence. There will be shopping, with a farmer’s market, natural cleaning products and soaps, and foods to sample and purchase; there will also be activities for children. Massachusetts Six brings folk, rock and blues to the stage. Visitors are encouraged to bring a chair or blanket and spend the day listening to local music and learning how to make their lives better. Free giveaways and raffles will continue throughout the day. Admission and parking are free, and the festival will be held rain or shine. Mamapalooza 2011 is coordinated by Paula Caracappa of PPC Group LLC, creators of the Awaken Fairs, and presented by the Motherhood Foundation, an organization that creates and presents visual, literary and performing arts events for mothers. Kensico Dam Plaza is at the north end of the Bronx River Parkway in Valhalla and can also be reached via Route 22. For more information, visit Mamapalooza.com, call 877.711.MOMS (6667), or call Westchester County Parks at 914.864.PARK.